In order to endure a Minnesota winter, it is important to dress for the cold weather. Caring for your garments in the harsh winter months can be a challenge. Boots can become damaged from salt and snow and coats can become stained. To protect your boots from the elements, you can use a weatherproofing wax or spray. Make sure the boots are new or clean when you treat them with water-repelling products and read the labels to see if it is safe for the material. To keep your items from being damaged it is also important to clean them regularly to remove any salt, dirt, oils and other stains. 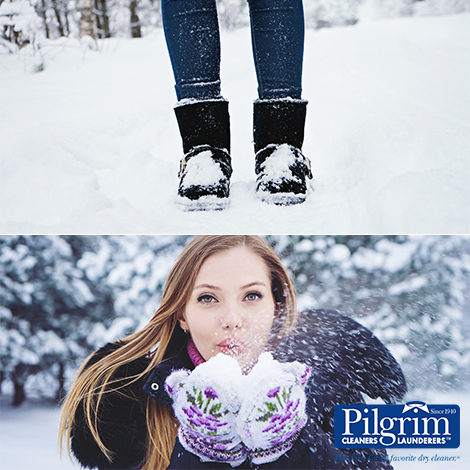 Pilgrim Dry Cleaners offers professional cleaning services for your UGG boots, jackets, down coats, ski suits, wool items, and more! Visit any of our convenient 26 Twin Cities locations for service. Grand Opening Of Our 27th Location In Downtown Minneapolis!